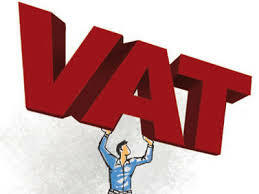 An increase in VAT in South Africa was inevitable, said Citibank economist Gina Schoeman. The only question mark was about the timing of an increase in the VAT rate, she told a Ford breakfast yesterday. Schoeman stressed that South Africa had one of the lowest VAT rates in the world and one of the most efficient VAT collection streams. She said an increase in the VAT rate from 14 to 16 percent would add R30 billion to South Africa’s tax revenue and narrow the deficit by 4 percentage points. However, Schoeman said an increase in the VAT rate was hurtful to the consumer, which was the reason government was not keen on doing it as soon as most expected. Schoeman said Citibank believed the government would increase the VAT rate next year but now believe the timing of the increase would be linked to when the country’s gross domestic product (GDP) growth rate increased above 2 percent, which might be in 2017. “It’s inevitable. It’s just about the timing. We tried to do something with personal income tax and we have done a bit on the levy side, but it’s not enough. That was a stepping stone to show government that you can tax the rich on the income tax side but its not going to give you nearly enough (tax revenue),” she said. Schoeman played down the risk of South Africa’s sovereign ratings by the ratings agencies. But she stressed the country was on a “very fine line” with the ratings agency, with Standard & Poor’s (S&P) the biggest concern with their sovereign rating for South Africa on the brink of sub investment grade or junk status. However, Schoeman said South Africa’s institutional strength at the Reserve Bank and National Treasury was what was differentiating the country from others whose sovereign rating had been downgraded to junk status. “You need to give them (Reserve Bank and National Treasury) a pat on the back. They need to sound hawkish and sound that they have not given way to any populous policies in South Africa because they are steering the way to keep South Africa as stable as possible. “That is the key reason we have not been downgraded as yet,” she said. Schoeman believed the risk was that S&P might move South Africa to a negative outlook next year, but the sense of the country’s policymakers would help lift the country’s rating into a stable outlook from there rather than pushing it towards junk status. She added that South Africa’s GDP growth rate had progressively declined from 3 percent, which was making everyone scared. Schoeman said Citibank did not believe the economy would grow at 1.5 percent this year but would only achieve 1.3 percent growth and would slow down further next year to 1.2 percent before starting to recover in 2017. She believed that if the US Federal Reserve increased their rates in December, the SA Reserve Bank would increase interest rates by another 0.25 percent in January.